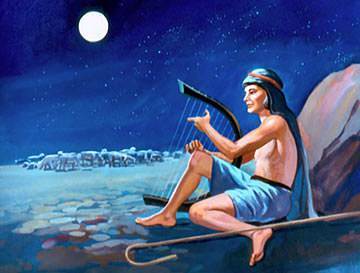 One day David the Shepherd-Minstrel was out in the fields of Bethlehem, minding his sheep. Presently he saw someone running towards him. When the runner came near enough, David heard him say, "Samuel, the prophet of God, has come to Bethlehem, and wants to see you." David found another shepherd to look after his sheep, and hurried off to the city gate. 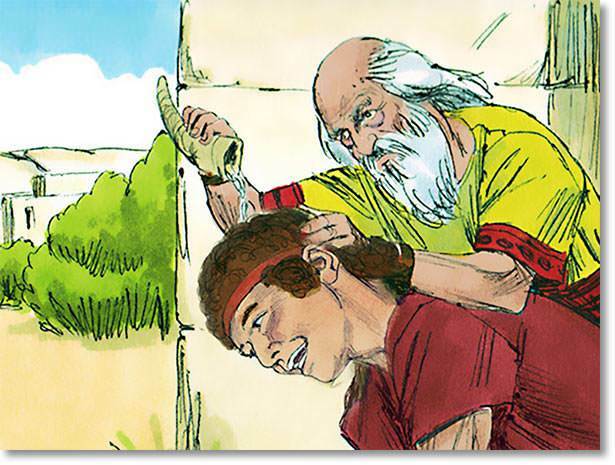 Just inside the gate David saw his father Jesse, his seven brothers, and an old man, with long white hair and beard. This, he knew, was Samuel. 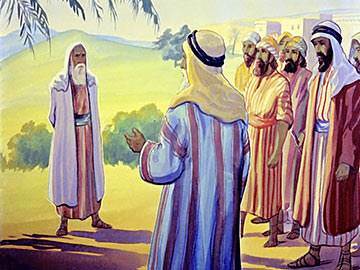 Around Samuel were the old men of Bethlehem, listening carefully to all he said. When David arrived, looking tall and handsome and brave, Jesse said, "This is my youngest son." Samuel said solemnly, "God has chosen you to be king over His people." 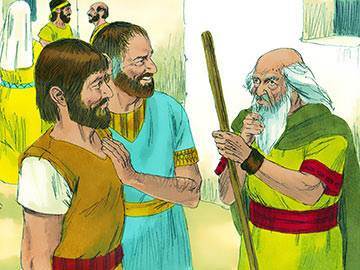 David’s seven brothers did not look very pleased, for Samuel had looked at each of them in turn before David came. 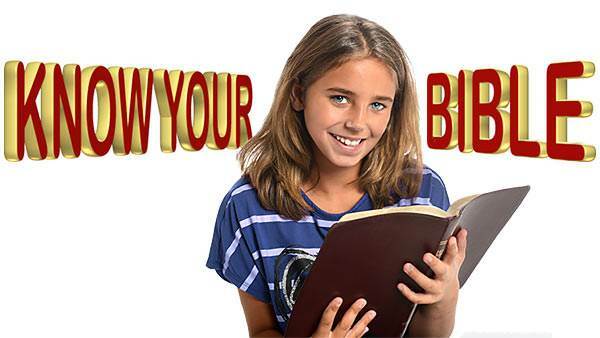 To each of the seven the old prophet had said, "the Lord has not chosen you." Each of the seven was tall and handsome and strong, but Samuel knew that "Man looks on the outward appearance, but the Lord looks on the heart." God had read David’s heart and knew his thoughts. 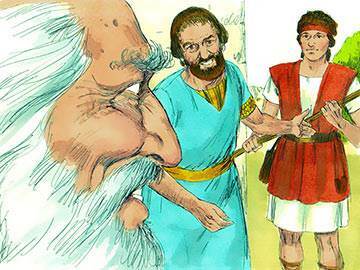 He knew that David would make a good king when King Saul had given up ruling. 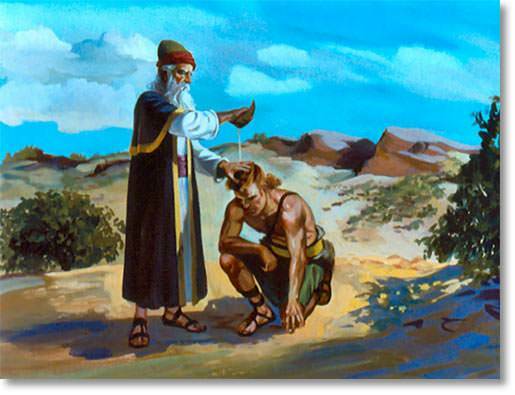 He told Samuel to anoint David king. So now Samuel took his horn, filled ready with sweet smelling oil, and poured the oil on David’s red-gold hair, saying to all the people gathered within the city gate, "This is the king whom the Lord has chosen."